Bruce Street Technologies Limited has always listened and responded to the concerns of our local communities. We grew up in these rural regions and still have family and friends living in these underserved areas. Through considerable investment and testing, we are proud to say we have been able to offer affordable, reliable, wireless high speed Internet access since 2007. 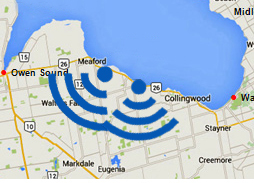 At this time, our service area extends to the areas immediately south of the communities of Meaford, Thornbury and the Town of the Blue Mountains but we are always exploring opportunities to increase our coverage. We strive to bridge the rural and urban connectivity gap by continually upgrading our systems in a desire to match products with the urban providers. And we do so without grants or government subsidies of any kind. Service: We understand rural needs and care about our customers. We take pride in our ability to provide custom solutions for unique applications. Dependability: We advertise our up to sustained data rates, not inflated "bursted rates". Speed: We access fibre optic networks directly and already available in the communities we serve. This ensures a fast, high capacity and low latency connection to our network. Reliability: We never backhaul or transmit data over DSL feeds or retail connections. This helps ensure lower latency rates and access to faster subscriber feeds. Static IP: We provide a routable public IP address with all of our packages so you can host games or servers and view security cameras from anywhere. Why is quality Rural High Speed Internet important? In 2016, the Canadian government declared that high speed internet was essential for quality of life, and that every citizen should have access to download speeds of at least 50 Mbps. It is true that our society as a whole has come to expect the internet to be readily available for everyone. Yet, many do not understand the limitations surrounding providing such services to rural areas. Larger companies are not interested as it is financially untenable for their model, while other companies split the difference and serve smaller urban centers and rural where they can. Exclusively rural, we understand the unique requirements of the rural customer and are proud to provide wireless and fiber solutions to under serviced regions. The internet enables small rural businesses to communicate with customers and suppliers without regard to time, place, and often even cost. Typically, that capability was limited to large urban companies because only they could afford to have worldwide marketing and sales teams. We are now able to network, teleconference, buy and sell products, and share content and information globally from almost anywhere, without having to travel. 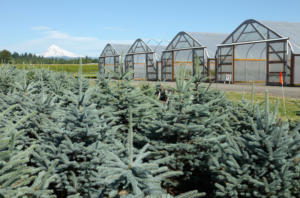 Professional websites and savvy use of social media has made it possible for rural companies to compete head to head with its often larger urban competitors, often for a fraction of the cost it would require to have a physical urban presence. The advantages of rural high speed internet are not limited to just improving our quality of life or leveling the playing field for small businesses. Rural clients who employ reliable and dependable connectivity actually maximize the value of their property. 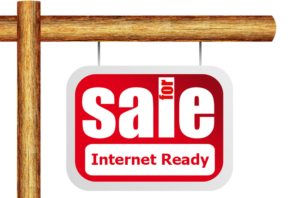 Real estate agents are staring to advertise an existing internet connection as a major selling feature. Similarly, prospective buyers are asking if internet access is available when looking at properties. Depending on the degree of isolation, and the customers requirement for internet access, having this service can increase the value of their property by thousands of dollars. Farms that provide monitoring capabilities; homes that offer dependable high speed internet access; cottages or chalets that have connectivity that can be accessed on a seasonal basis, are all examples of why investing in a quality internet connection makes good sense. What is Wireless High Speed Internet? Wireless High Speed is a terrestrial based microwave technology. A broadband signal is sent from a Wireless Tower and picked up by a device called a radio, which is mounted on the outside wall or roof of your home. Unlike wired technology such as fiber or copper, which is what Cable and DSL services use, Wireless High Speed transmits a signal through the air. 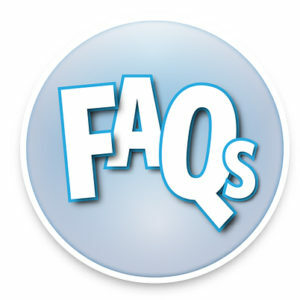 How do I know if Wireless High Speed internet service is available at my location? Since obstructions such as hills, vegetation and buildings can interfere with a wireless signal, BST will conduct a no cost site survey at your home to see if a proper signal can be obtained from our distribution network. Do trees, hills and buildings interfere with a Wireless Internet signal? Yes, these factors will diminish the signal. For that reason, you will require a clear line-of-sight to one of our access points. How fast is the service? Depending on your requirements, the package you choose, and the availability based on your location, BST can provide download speeds ranging from 5Mbps to 15Mbps, and upload speeds up to 2Mbps. This will enable you to do perform online activities such as browsing the web, accessing social media sites as well as downloading and streaming video, music and games. How much usage can I get? Packages range from a basic 50GB per month, to Unlimited Data. Most Wireless High Speed Internet users will not exceed 100GB of usage per month. Does weather affect the quality of service? While any wireless signal is subject to interference due to changes to the environment, only severe rain and snow should affect your service. At most you may see a slight reduction in speed during a heavy rain or snow storm. Can other equipment interfere with a Wireless High Speed Internet signal? There are known issues with interference, including (but not limited to) amateur radios, existing microwave towers or antennas, and other 2.4 or 5.8 Ghz wireless devices. Our technicians will install a dish outside your home that will connect to the Network-Interface-Controller (NIC) card inside your computer. This will require a small hole to be drilled through your exterior wall or other available access point. An ethernet cable will then be connected from the outside to one jack on the router, and the other jack will have an ethernet connection to the computer. What if other services such as fibre become available? If other High Speed options becomes available where you live then we will switch you to this service. What equipment will I need to facilitate the high speed wireless connection? You will require a device with a currently supported Windows, IOS or Android platform. You will also require a network card. BST will provide the transceiver, antenna, and the cables connecting them. Is the BST high speed wireless internet connection secure?